“I had been pretty naïve about being a police officer. I had this cocky attitude, ‘Hey, look at me. I’m a cop.’ I’d even told my friends I couldn’t believe I was getting paid money to go out and have so much fun. But after seeing that wounded officer carried away in an ambulance, I said to myself, ‘This job isn’t a joke.’ I never bragged again about getting a paycheck for having a good time.” Steve realized something else that day as well. He had taken a solemn oath to run towards a threat, no matter what the danger or risk, and to do whatever he could to stop it. In 2010, Cynthia Brown, the publisher of American Police Beat, published Brave Hearts: Extraordinary Stories of Pride, Pain and Courage. The book is an in-depth profile of 15 NYPD officers. While these officers work in New York City, their stories reveal what all cops everywhere go through to serve and protect. The book has sold over 15,000 copies and is now being used as curriculum material at over 40 law enforcement academies and colleges of criminal justice. Several of the 15 people profiled talk about the profound trauma of losing partners and colleagues in the line of duty as well as the impact when someone gets seriously injured. In honor of the two New York City officers who were shot and killed last weekend and every officer who has died while serving his or her community, we want to share some of those stories. We began with the story of Alvin Rountree, who buried three of his close friends, all killed while working alongside him in the most dangerous job in law enforcement—going undercover in the Firearms Investigations Unit. Today, we bring you the story of Steve Bonano. Steve has risen up to the rank of one-star chief, and until two years ago, was the second ranking officer at the Brooklyn South Patrol Borough, where he oversaw 13 precincts. Brooklyn South, one of the most diverse communities in New York City, if not the world, has one of the largest Haitian, Hasidic, and Muslim communities in the city. Almost two years ago, on Valentine’s Day 2013, Steve was diagnosed with a rare but aggressive cancer his doctors are sure was a result of Steve’s long days working at Ground Zero after the attacks of September 11, 2001. He has been in and out of the hospital since that time, and everyone who knows Steve says if anyone can beat this terrible illness, it is him. During his first years on the job, Steve was assigned to the city’s toughest beats, including the 42nd, 44th, and 46th Precincts. As he faced down gangs, drug dealers, petty thieves, and armed assailants, he learned the nuances of what it takes to be an effective cop—a complicated process of knowing when to negotiate, when to sympathize, when to protect, and when to exert authority. Steve learned the hard way that enforcing the law is a power struggle; a battle of sorts that always has to be won by the officer, hopefully without using force. Here’s his story about a watershed incident when he was just a rookie that changed his view of police work forever. Steve Bonano was twenty when he graduated from the Academy. 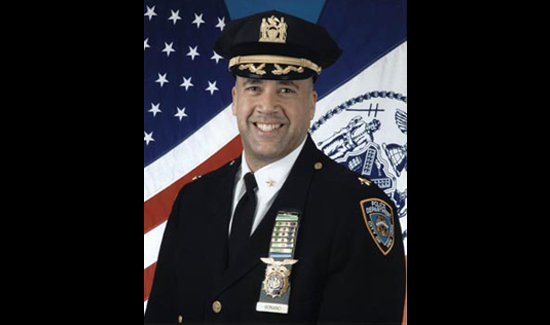 His first assignment was in the 42nd Precinct in the Bronx. It was the summer of 1982 and large parts of the borough were still burned out from the fires that had devastated the area just a decade earlier. Most of the streets resembled bombed out war zones. Life in the 41st Precinct to the east was the subject of the 1981 film “Ft. Apache the Bronx,” and it was the 4-2 where President Jimmy Carter announced a program of massive federal aid in 1977. “We’re going to change all this,” the President said, as he drove a shovel into the scorched ground in one of the many vacant lots that littered the bleak landscape. Off-duty officers who worked in the Bronx wore t-shirts emblazoned with slogans like, “Warriors of the Wasteland” and “What you call hell, we call home.” When Steve Bonano reported for his first day of work in August in 1982, the “4-2” was the only precinct in the city without a single restaurant or coffee shop. It was a grim place. Sometime during that first year Steve got the call all police officers respond to sooner or later. A situation that forces them to confront the reality that the profession they’ve chosen could kill them. It was a little after four in the afternoon at the beginning of the shift when the dreaded words come in over the radio. A 10-13 in the 4-4. The 44th Precinct was only a couple of blocks away and a “10-13” meant an officer was in trouble. Steve and his partner sped to the scene. When they pulled up, there were squad cars everywhere with doors open and red lights flashing. Steve Bonano has loved flying ever since his dad took him for a ride on his tenth birthday. 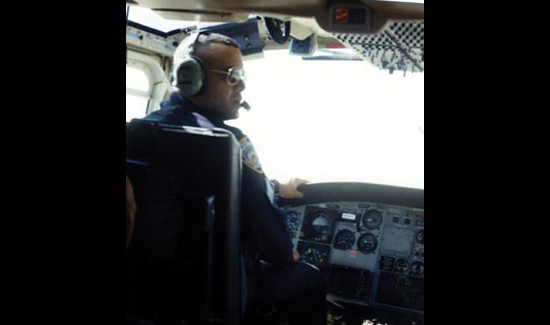 Determined to get assigned to the NYPD’s Aviation Unit, Steve invested $18,000 to get his commercial pilot’s license, a requirement for entry into the unit, where he served for eight years. People still talk about the time Steve and his co-pilot, Matt Rowley, landed a helicopter in a shopping center parking lot to provide back-up for another officer who was engaged in a foot pursuit with a criminal suspect and had lost his radio. As you can imagine, this did not go over well with his bosses. Two cops had chased a man into a building. The suspect took cover in a corner of the hallway, pulled a gun and started shooting. In the hail of gunfire, one of the officers had been hit. They knew he was down and trapped in the hall but no one knew the extent of his injuries. His partner had managed to get himself out of the line of fire. Somehow, the wounded officer was able to get some shots off. When he ran out of ammunition his partner tossed his own gun over so he could keep firing. Finally, a round hit the target and the gunman went down. Steve watched as the EMT’s and paramedics anxiously waited for the shooting to end. They could not help the injured officer while there was gunfire. Later they learned the wounded cop might have bled to death if the gun battle had gone on much longer. Steve realized something else that day as well. He had taken a solemn oath to run towards a threat, no matter what the danger or risk, and to do whatever he could to stop it. For more information on Brave Hearts: Extraordinary Stories of Pride, Pain and Courage, including how to order the book, go to www.braveheartsbook.com. http://yhoo.it/1CY6vFR Watch this amazing tribute Steve’s colleagues at Harvard made for him when they learned he was battling a rare, but aggressive cancer.